VERNISAGE is a Web design company that specializes in small businesses. We develop and manage professional Web site applications, and offer you all your design and needs at affordable prices. Our experienced staff will design a Web site for you easy to navigate, user-friendly, drive sales, reduce cost, and improve communication. In the end your Web site will embody the message you are looking to convey. First we will provide you with a free consultation via phone, email or in person. We'll listen to you, exchange ideas, and discuss how we can make your Web site a success. We will also explain the development process and answer any other questions you might have. 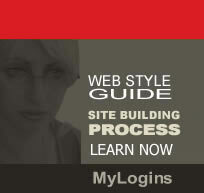 There are thousands of places for you to go to get a Web site designed. What makes us different?